Commuters using Northern Rail services have been warned to brace themselves for further strike action which has been scheduled to take place in October. 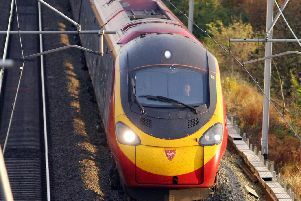 The RMT announced on Tuesday that two more days of strike action are set to go ahead in their latest protest against Northern Rail's decision to introduce driver only operated trains. The strike will take place on Tuesday October 3 and Thursday October 5 between 00:01 and 23:59. Richard Allan, Northern’s deputy managing director, said: "Northern is modernising local rail with new and refurbished trains, better stations and faster journeys and while strike action is disruptive, we remain firmly focused on delivering a better service for our customers. Union leaders have spoken of their frustration at not being able to invite representatives from the Department for Transport to the talks. RMT general secretary Mick Cash said: “Yet again we have been confronted with the sheer intransigence of Arriva Rail North and that means that we have no option but to confirm a further round of strike action. "The responsibility for the inevitable disruption lies wholly with the company. We are angry and frustrated that Arriva continue to fail to face up to the facts and also continue to ignore a perfectly reasonable union proposal to invite the DfT to join us in round table talks aimed at finding a solution. "We have no doubt that our members will remain united and determined as we prepare for the next phase of action in a fortnight.